A coalition of international NGOs is seriously concerned about the impact of the Anti-Terrorism Law in the United Arab Emirates (UAE) that was approved by President Sheikh Khalifa Bin Zayed Al Nahyan in late August 2014. The coalition calls on the United Nations Human Rights Council (UN HRC) to act to ensure that the legislation is not used as a tool to target, imprison, harass, intimidate and impede the work of human rights defenders in the UAE, particularly as human rights groups were among those named as terrorist organisations by the authorities in November. The coalition is composed of groups that have worked together in the past on cases of activists and human rights defenders jailed since 2011, including the UAE5 and UAE94 cases. The groups are the Gulf Centre for Human Rights (GCHR), Front Line Defenders, the Cairo Institute for Human Rights Studies (CIHRS) and the Arabic Network for Human Rights Information (ANHRI). On 15 November, the UAE Cabinet released a list of groups that had been designated under the “Federal Law No. 7 of the year 2014 on Combatting Terrorism Crimes” as “terrorist organisations,” including the Muslim American organisations, the Emirati group Al-Islah, as well as known terrorist organisations such as Al Qaeda and its branches, Daesh, the Taliban and Boko Haram in Nigeria. This confirms fears that the Anti-Terrorism law will be used to target human rights defenders under the umbrella of “terrorist organisations” and puts them at great risk, including of losing their lives if convicted. Under the new legislation, those convicted can face capital punishment, life imprisonment and fines of up to Dh100 million. The legislation is comprised of 68 articles and is similar to the anti-terrorism law passed in Saudi Arabia early this year, which has been used against human rights defenders such as prominent human rights lawyer Waleed Abu Al-Khair, who was sentenced to 15 years in jail in July 2014 on multiple charges.None of those charges allege any suggestion of violence but are transparently linked to the kind of debate and dissent that is permitted and protected wherever freedoms of speech and thought are protected. The new offences in the UAE anti-terror law centre around the definition of “Terrorist Outcome”. The statute does this by specifying that the new offences are constituted by any current offence that is carried out in order to bring about a “terrorist purpose.” Terrorist purpose is defined as trying to bring about, directly or indirectly, a terrorist outcome. Similarly, a “terrorist organisation” is any two people who try to bring about a terrorist offence. The terms of this definition are extremely broad. For example, “antagonising the state” could apply to the UAE or any other state or international organisation. This wide term could encompass any sort of peaceful protest that “the State or other states or international organisations” could view as antagonistic. Similarly “stirring panic” is not confined to creating a fear of violence but could be read as including making a narrow group in society panic; this could mean that the group demanding peaceful change could cause panic in those who might be adversely affected by the change sought. There needs to be greater clarity and narrow, more focused, definitions if this law is to be applied in a just way and serve its purpose as anti-terrorism legislation. International standards require a link to serious violence or the threat of it; this law does not require a link, and is an abdication of the State’s duty to allow lawful peaceful protest and other non-violent political activities, says the coalition. According to the UN Special Rapporteur on the promotion and protection of human rights and fundamental freedoms while countering terrorism, “a clear definition of threats is particularly relevant in the context of counterterrorism,” noting countries such as Norway, New Zealand and Romania have provided them within their laws relating to terrorism. Article 15 is a direct assault on the right of freedom of opinion and belief and the right of freedom of expression as it states: “Whoever publicly declares his animosity or lack of allegiance to the State or regime shall be punished by temporary imprisonment.” These articles are likely to be used against anyone who expresses dissent against the State or advocates for reform. It has the potential particularly to be used against on-line activists. For example, on 25 November 2014, the State Security Court at the Federal Supreme Court in Abu Dhabi sentenced human rights defender and on-line activist Osama Al-Najjar to three years in prison and 500,000 Emirati Dirham (approximately US$136,000). He was charged with belonging to Al-Islah, offending the State via Twitter, instigating hatred against the State via Twitter, and spreading lies about the torture of his father, Hossain Al-Najjar, who is currently serving an 11-year jail term for his human rights activities. Al-Najjar is among a group collectively known as the UAE94 who were sentenced in July 2013 for, among other things, association with Al-Islah. The Federal Supreme Court of Abu Dhabi sentenced 56 people, including prominent human rights lawyers Mohammed Al-Roken and Mohammed Al-Mansoori, to 10 years in prison. This vague definition could be used to label human rights organisations as terrorist organisations and subject them to the harsh provisions of the new law. Articles 21-26 set out offences related to a terrorist organisation. Article 21 provides that anyone who organises, runs or assumes a command position in a terrorist organisation shall be punished by death or life imprisonment. It grants powers to shut down the organisation and confiscate its items and funds. Article 22 provides for a term of life imprisonment or a temporary prison term for anyone who seeks to join, enrol or participate in a terrorist organisation. Article 23 similarly provides for life imprisonment or a temporary prison term for anyone who “coerces or prompts a person to join, enlist, participate or remain in a terrorist organisation.” It is feared that these provisions and severe sentences may be used as a way to impede the work of legitimate human rights organisations as well as deter people from working in human rights. The subject can be imprisoned for up to a year should he or she not comply with the measures ordered by the court (Article 41 (3)). Article 49 is another worrying provision as it allows for an extension of the time a defendant can be held in discretionary detention, so that a person can be held for up to three months. The coalition expresses serious concern about the new legislation and in particular the provisions outlined above. The law has the potential to be used to curtail many fundamental human rights, most notably freedom of expression and freedom of opinion and belief. 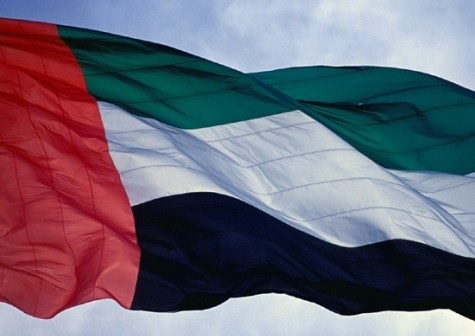 Further concern is expressed that this law will be used arbitrarily to target human rights defenders, including on-line activists, human rights organisations and advocates of reform - both within the UAE and those travelling outside and reporting to international bodies - and subject them to harsh sentences. The coalition believes that the law should be revised and the definitions narrowed to ensure a robust and workable anti-terrorism law is in place which can contribute to a peaceful society where the promotion and protection of human rights are respected. Finally, the coalition urges the authorities in the UAE to guarantee in all circumstances that all human rights defenders in UAE are able to carry out their legitimate human rights activities without fear of reprisals and free of restrictions including judicial harassment. The undersigned groups call on the UN HRC to act quickly to protect human rights defenders in the UAE, particularly those who have cooperated with the UN to reveal human rights violations in the Emirates, and request an investigation by the UN Special Rapporteur on the promotion and protection of human rights and fundamental freedoms while countering terrorism.